Taking in the beautiful state of South Carolina on a motorcycle can be a truly breathtaking experience. Unfortunately, negligent drivers are not always looking out for the safety of a motorcyclist, and accidents happen too often. According to the National Transportation Safety Board (NTSB) a South Carolina motorcyclist is three times more likely to become injured and 16 times more likely to be killed while riding. If you were seriously injured on your motorcycle while riding in Summerville, we have the expertise, resources, experience you want and need on your side. These cases are among some of the most serious that we handle that often leave victims with catastrophic injuries that are life-changing. You are never required to hire an attorney if you’ve been in a motorcycle accident in Summerville SC, but doing so can drastically improve your chances of receiving the compensation you deserve. 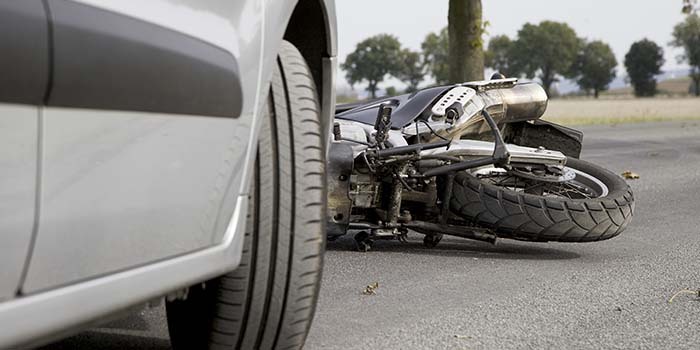 Because motorcycle accident injuries are so serious, it is advisable to have a Summerville lawyer represent you. Insurance companies are tough, and their goal is to compensate you with the lowest amount of money possible. We are experienced motorcycle accident injury lawyers who can help you navigate your ongoing treatment, handle medical insurance issues and negotiate successfully with the insurance companies and help you get your life back on track. Can I Recover Compensation if I’m at Fault? Even if you are partially at fault for your motorcycle accident, there may be a possibility of recovering damages. South Carolina is a comparative negligence state. The other driver’s insurance company compensates you as long as your part in the accident doesn’t exceed 51 percent. These cases can be very complex and confusing and you will want to hire an attorney to represent you and navigate on behalf of you successfully. We work one-on-one with you free of charge on a contingency basis. After reviewing your case we will advise you about your options and our recommendations, with you being the first priority. We will fight on your behalf to hold the negligent party accountable and to recover the compensation you need to pay for your medical bills, lost earnings, pain and suffering and other damages. Don’t wait. Call us today for a free consultation.